The netbook genre has exploded during the time I’ve been hosting this site – and I’ve overlooked most models despite owning two of the most popular ones due to a lack of time to review them. However, as the market for the devices matured, the need for something that wasn’t simply “good enough”, but was actually “complete and useful” became quite pressing. Having started with the obligatory 4GB Asus Eee and moved on to the exceptionally good value Acer Aspire One A110, the time taken for these models to acquire internal 3G networking and decent storage was frustrating. I started writing this review in October 2009, and it’s interesting that the most relevant change to netbooks is the standardisation of Windows 7. The low and mid range has not moved on significantly, so I’ve elected to complete the review – with a little more “long-term” content. Dell’s Mini 10 name now covers at least three distinct models of computer, so this review covers the 2009 Dell Mini 10 also known as the Inspiron 1010 – the other models are the Mini 10v, and the 2010 New Mini 10 (Inspiron 1012, with Windows 7). Right now the Mini 10 reviewed is still available starting at £299 with 1.6GHz CPU, and £30 upgrade to HD screen, still shipping with Windows XP Home; the closest current specification costs £404 and loses the Product RED red case and internal 3G module (neither option is available now). Dell’s specification changes constantly, as do the prices, so buy what you need when you need it. If you want HD and 3G, Dell’s New Mini 10 is the option – though it lacks the TV Tuner/GPS options. Cellular Data: Dell Wireless 5540 card optional. Dell Wireless 5540 card optional on selected models. Even when taking the decision to just spend whatever was needed on a system which did everything was hard. 1024 x 600 screens began to look outdated as higher-end models gained “HD” displays with 1366 x 768 resolution. The Atom processor line was updated. Products would be announced in Taiwan or America, and never appear here – or would appear with different specification. Of note is Gigabyte’s TouchNote T1028M/X/G, which is a convertible tablet model similar to the M912 and featuring HD display on the X, and HSDPA modem on the G model; UK distribution is via Expansys, though they’ve been unable to provide a review sample. Ordering the Dell Mini 10 was an exercise in self restraint, and I’ve never been fond of exercise. You can, if you wish, buy the Mini 10v for as little as £199 – this Linux based system comes with 8GB SSD storage or as a Windows XP model with 160GB for £249 – or you can start with the Mini 10, which uses the Atom Z520 processor and Windows XP at £299. The latter model is where I started, and the latter model is where Dell get your attention and money. Dell’s current range is slightly revised, and I will cover those on the last page of the review. Assuming all the Dell models share the same chassis, the Mini 10 is one of the better made netbooks available. With a 10.1″ display the 1024 x 600 screen is very readable – if you’re starting with the high end option however, £20 will upgrade that to the 1366 x 768 option (which also makes the bezel/screen a flush, glossy design). At that price, it would be rude not to. £319 for a netbook with 160GB and that res? Definitely. And then, the Z520 can be upgraded to a Z530… and the 802.11b/g to 802.11n… and there’s an internal TV Tuner or GPS, that’s only £30… and internal 3G. These options have since changed – crucially there is still no 2GB RAM upgrade (the RAM is part of the processor module) and the GPS/3G options have been deleted. The latter is particularly interesting – the 3G card also provides GPS, so why isn’t it listed? The MCX port provides the antenna connection, so if you have TV, you can’t have an antenna. It may be possible to hack an external antenna onto the card somewhere. 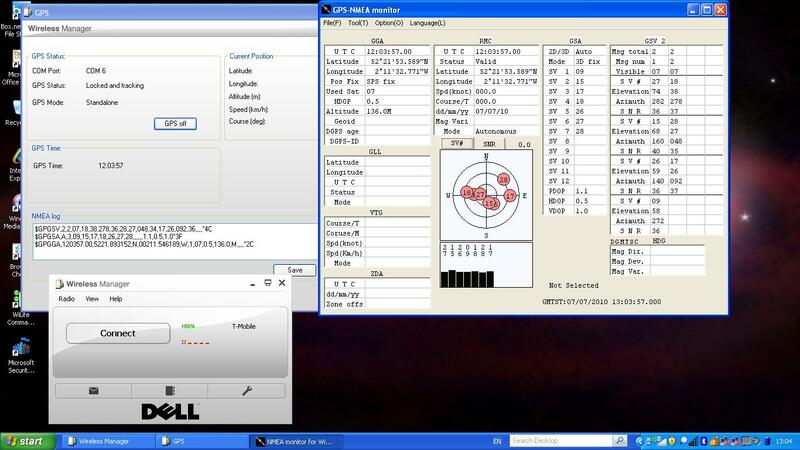 Update: Having played with a few GPS tools recently, it turns out that the Dell Mini 10 with Dell 5530 HSDPA card does indeed have GPS even when the TV tuner is enabled. If you go to the wireless manager, start up “GPS” from the View menu, and then fire up something like NMEA monitor to the GPS port specified in the device manager, I went with Port 6 at 9600 baud. GPS sentence starts GSA. Presumably if you have Windows 7, you can then set up a location sensor if you so wish, if the drivers aren’t already in circulation. In the end my Mini 10 came in at £553, but comfortably exceeds the Sony P11Z in most areas of the specification for considerably less money. Elsewhere in the netbook market, you’ll find one or two of the features (the internal TV tuner appears to be unique), but will usually end up losing somewhere else – Samsung’s NC10 may be readily available with 3G, but it’s slower and lacks the HD display and HDMI port of the Dell. The handful of HD display netbooks out either have smaller batteries than the Dell’s 6-cell option (£45) or cost almost as much without offering integrated 3G. The only area the Mini is lacking – if you can call it that – is not being a convertible tablet model, which is where the Gigabyte models come in. Delivery of the system took nearly two months; placing the order mid August saw it delivered in October. 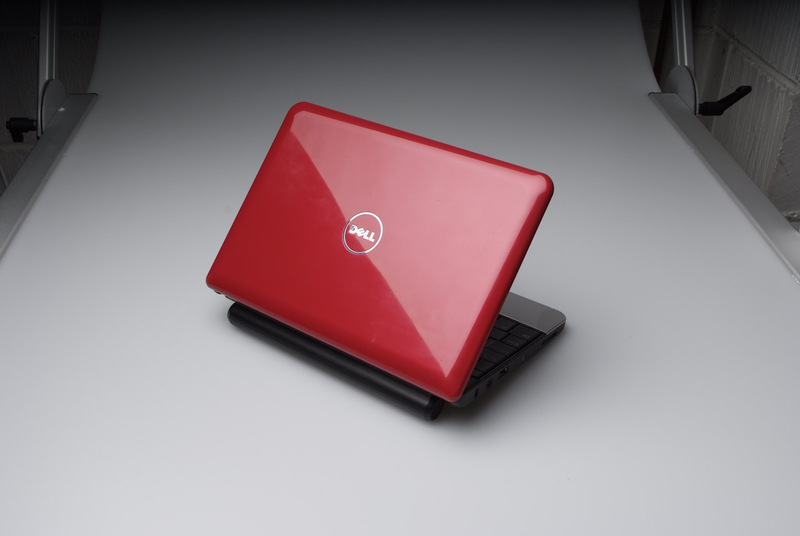 Dell’s Mini 10 – hard working netbook!